This entry was posted in production and sales and tagged press sales on October 10, 2014 by James Day. Global sales have picked up despite the 2015 MINI Hardtop just now beginning to reach dealers. September saw MINI brand sales increase compared to the same month last year with a total of 31,871 vehicles delivered to customers (prev. yr. 31,314 / +1.8%). “MINI has achieved its best-ever September which means we remain on course to equal last year’s annual sales,” said Peter Schwarzenbauer, Member of the Board of Management of BMW AG, responsible for MINI, BMW Motorrad, Rolls-Royce Motor Cars and Aftersales. Deliveries of the new generation MINI that was launched in spring this year jumped 18.2% in September (15,337 / prev. yr. 12,977). 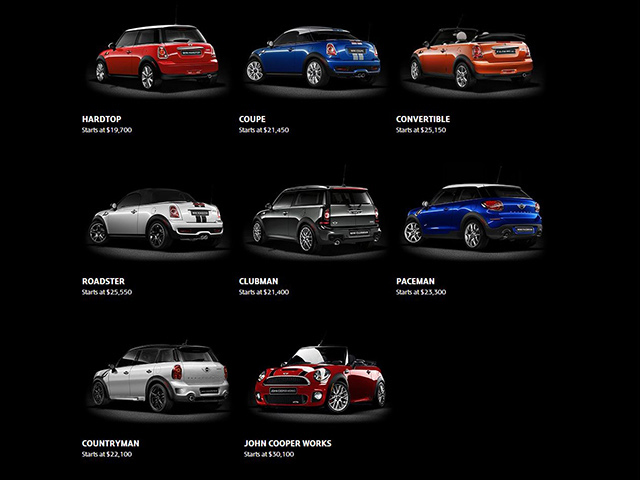 The year-to-date sales figures for the MINI brand overall are down 7.5% due to the model change (207,529 / prev. yr. 224,282).